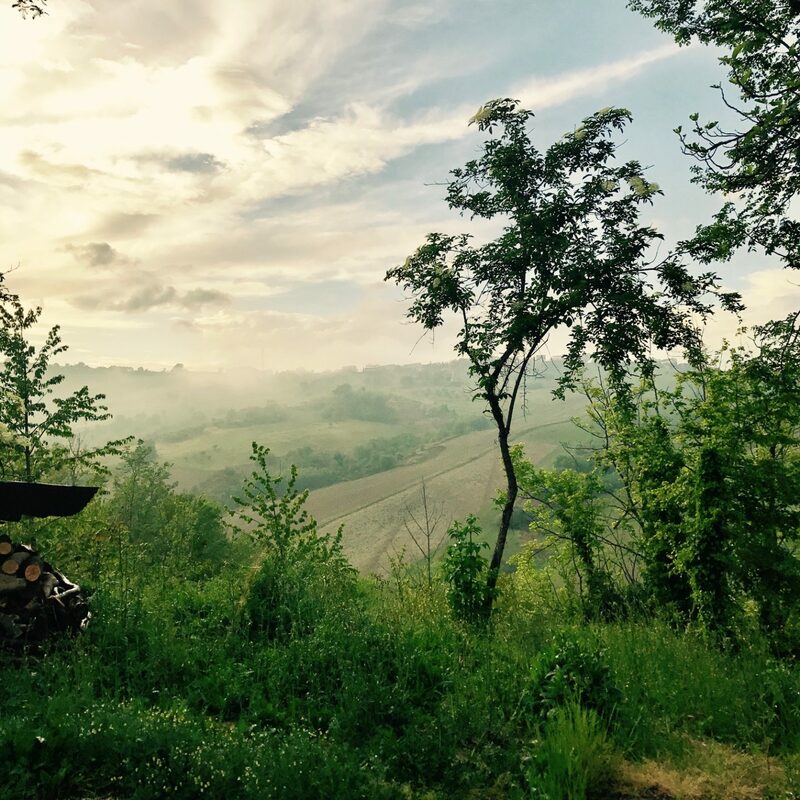 They left behind busy cramped London, for the stunning scenery of Le Marche in Italy. Kelda and I work together, and along with 2 of the other work girls, we decided to hop on a plane and go out to check out for ourselves what living The Dream is really like. Flying into Ancona, we picked up our rental car and went on our way to Le Marche. Eventually we found the motorway roads winding out, into longer climbing hilltop roads, driving through a busy town or two, and then eventually taking a left turn, and driving slowly into the most beautifully rustic village – it was like something from an old film. We spent a good hour or two catching up over prosecco and crisps, whilst the locals gathered by us to play cards, and stop-in to see one another. Then, it was time we made our way back to where we’d be staying for our two day whistle stop tour. 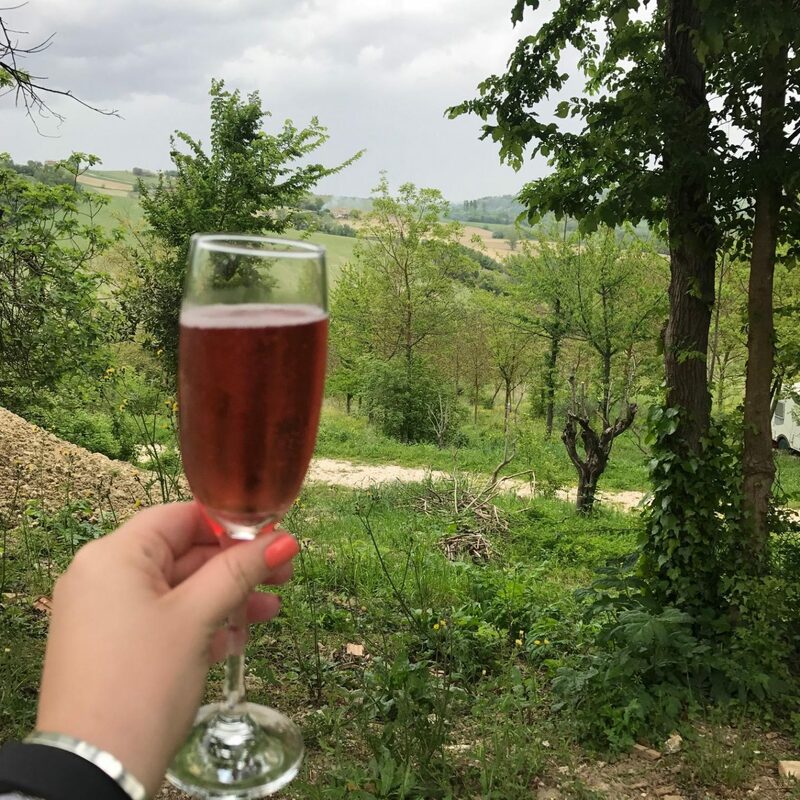 We were super tired, but so happy to be in Italy, and the smiles on our faces only got bigger as Kelda and Mike put on an amazing spread for us. 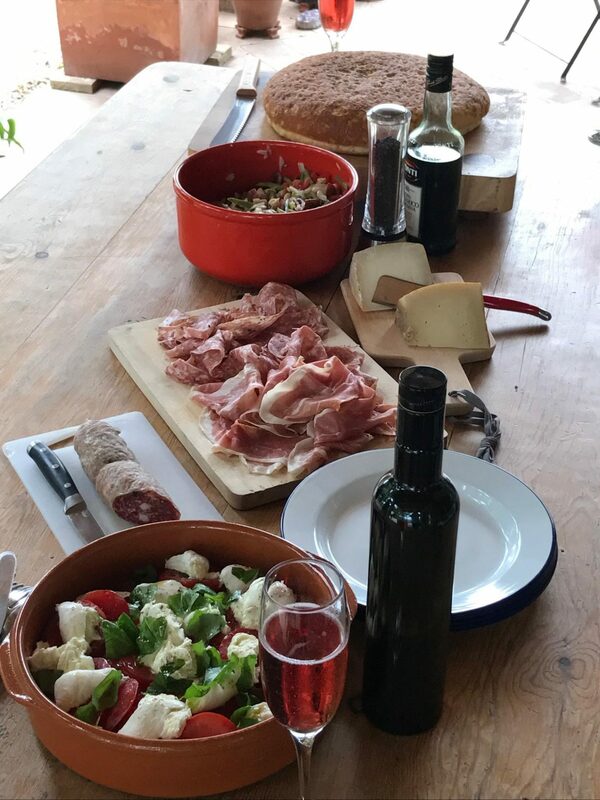 Kelda is an insane cook, the table was laden with beautiful salads, freshly baked foccacia from the local bakery and pink fizz to accompany it. 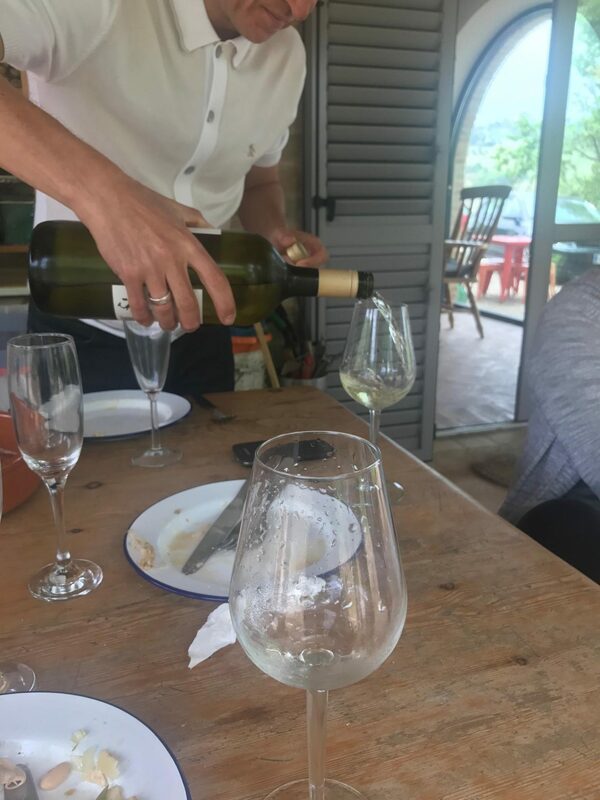 We watched out over the rolling hills as rain rolled in and swiftly departed again; the smell of it on the earth was just the perfect accompaniment to the food and the company. It was time for a hot shower, a quick nap, and some fresh coffee to get ourselves feeling human again, and then a wander back to the local village for the most incredible dinner at a local family restaurant. 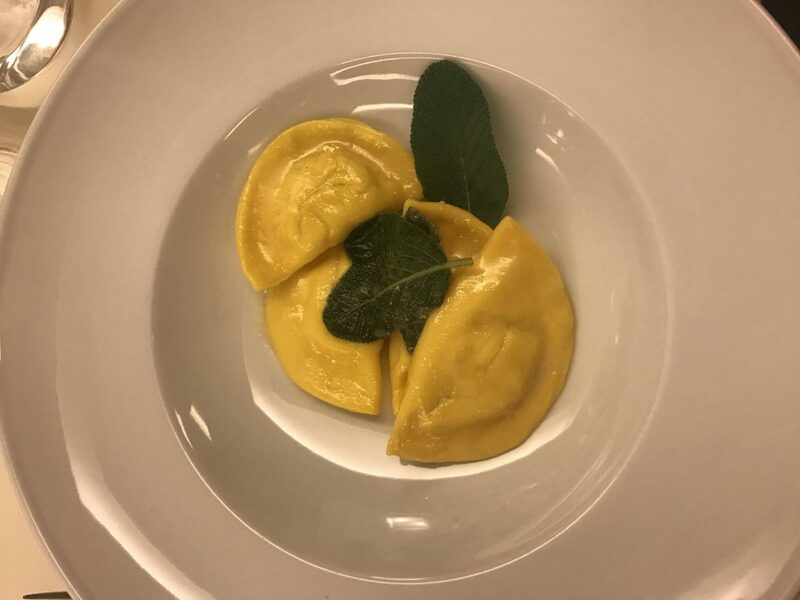 Divine steaks and home made ravioli – which was the real highlight. Butter and sage, with the ricotta having just a hint of lemon in. Previous Post Bottomless Brunch & Adventures in Richmond. All this Italian food! Oh my goodness! 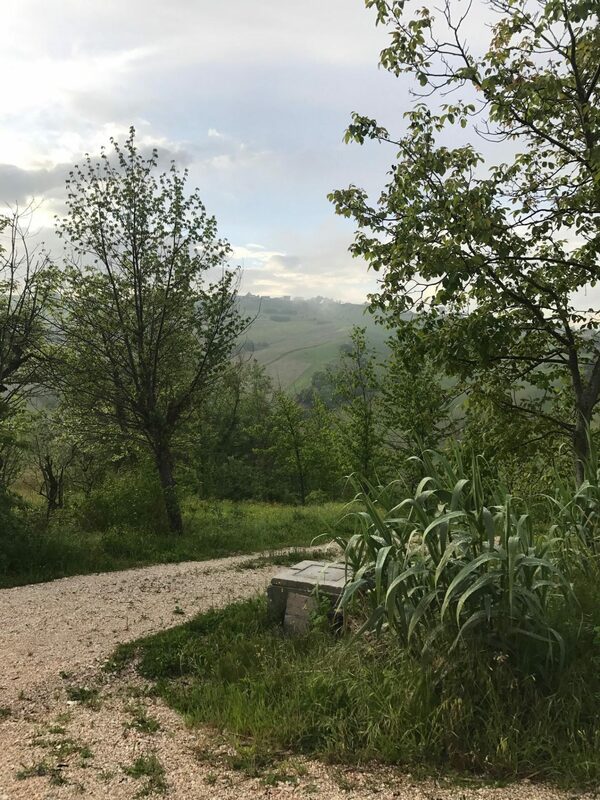 I spent two summers in Italy working on an archaeological excavation, and the scenery was just stunning, I’d love to go back! Your photos are absolutely beautiful, especially that first one with the mist coming down over the mountains! 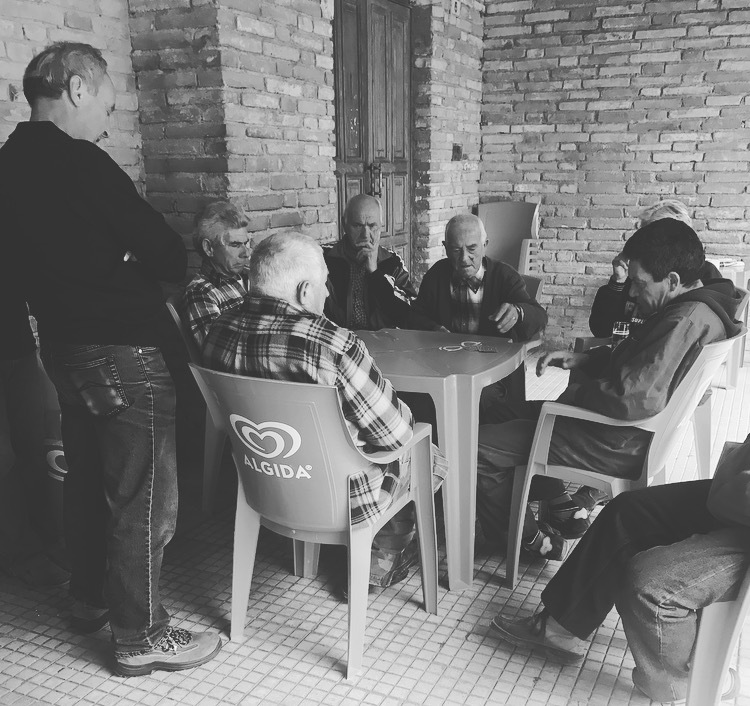 I think that there’s always a group of elderly Italian men sitting in cafes in pretty much every village in the country, as there was a very similar group that used to say hello to us every morning when we were working on the dig! They usually started drinking beer by about 11am haha! Italian hot chocolates are also to die for, if you didn’t have one on this visit, you simply must go back especially to try one! Please take me with you on your next trip!! Oh my gosh, honestly Abbey, thank GOD I didn’t spend longer than 2 days or I would have been the size of a house! Ah thank you so much – but honestly the photos don’t do it justice at all! It’s such an incredible place, and a totally relaxed pace of life. It was just what the doctor ordered! Haha yes you’re right, they were most bemused by these 3 girls from London rocking up and drinking all their prosecco! Your excavation digs osund so fascinating, I’d have love to have done Archaeology! Ohhh my gosh! That food looks amazing! I love Italy, it’s one of my favourite places! Your photos are gorgeous, I’m about to go and read part 2..!